“On Saturday October 9th, the physical space inside the MoMA NY building hosted a virtual exhibition occupying all floors (including an additional virtual 7th floor) in parallel to its ongoing show. 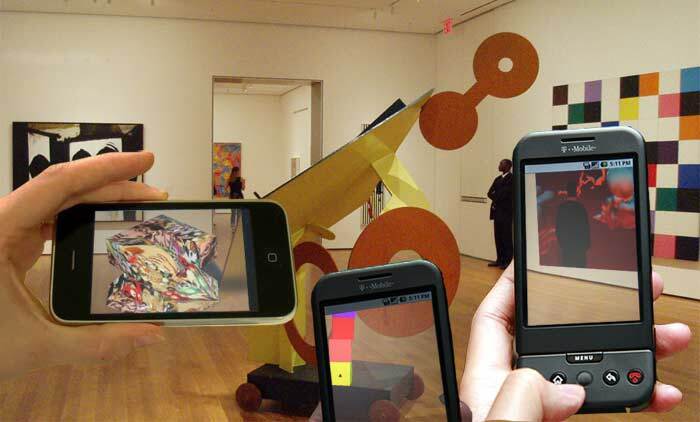 The show was not be visible to regular visitors of the MoMA, but those using a smartphone application called “Layar Augmented Reality browser” (available for free in the iPhone app store and Android market) were able to see additional works on each of the floors, put there using location-based augmented reality techniques. So far, the MoMA is not involved in all this yet.